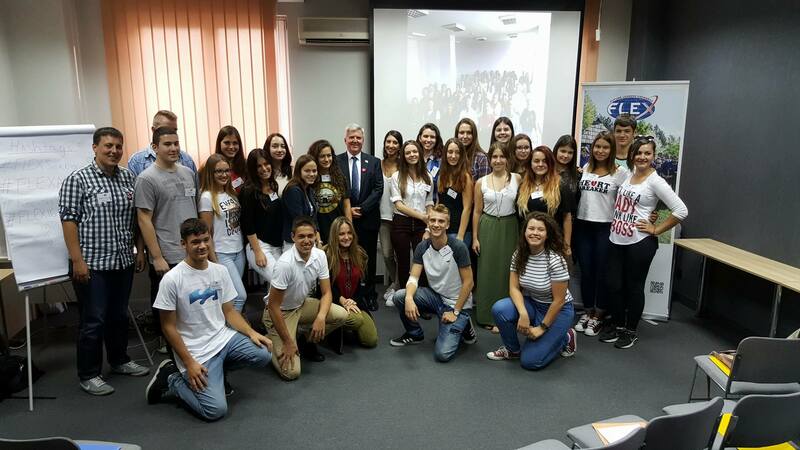 On September 9-11, 27 of the 41 recently returned FLEX Alumni from Serbia gathered in Belgrade for a re-entry seminar. The re-entry seminar is held to welcome recently returned alumni to the alumni community and help alumni work through re-entry issues. 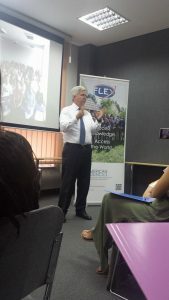 Alumni at the workshop also took part in skills trainings to become active members of the larger FLEX alumni community. 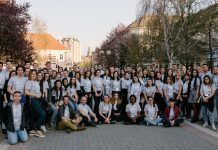 During the seminars alumni reflected on their year abroad, engaged in discussions on the challenges that confront exchange students as they return home, and learned strategies for overcoming the challenges. 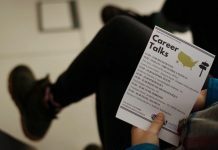 Alumni also learned about resources and opportunities available to them as alumni. The event was opened by U.S. 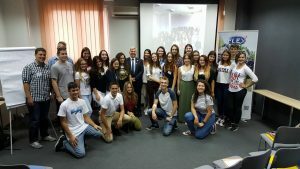 Ambassador to Serbia Kyle Scott who spoke to participants about his work experiences and the times when he, too, had reverse culture shock. He encouraged alumni to use the good things that they learned and saw in the U.S. to positively develop their lives and country. Following the presentation, alumni took part in sessions which offered them a venue to talk about their exchange experience and the issues that they have faced since returning home. 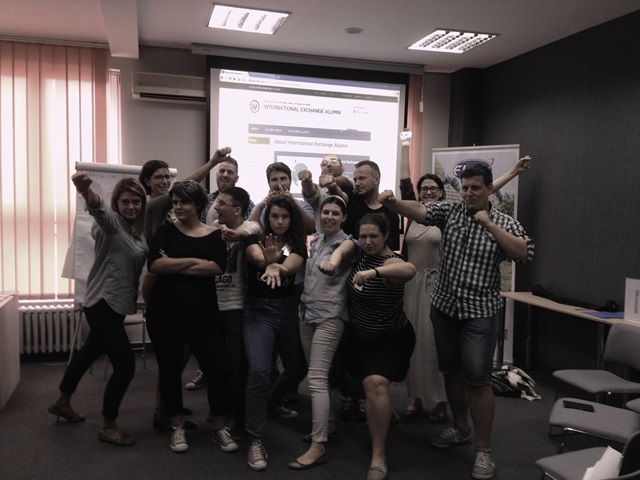 Alumni took part in practical project design and management sessions with experienced alumni and American Councils staff guiding alumni in developing their own community projects, which will then be implemented in communities across Serbia through a follow-on small grants program. 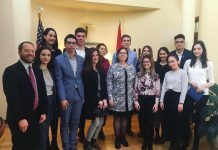 The event was made possible through funds for FLEX alumni activities from the U.S. Department of State Bureau of Educational and Cultural Affairs and a grant from the U.S. Embassy in Serbia. FLEX program and alumni staff including Program Officer Slavisa Rakovic, Alumni Coordinator Nemanja Miltenovic ’13, Program Officer Rebecca Strattan and active FLEX alumni Marko Stojanovic ’12, Violeta Milanovic ‘15, and Tara Djelic ’08 facilitated the seminar. The alumni leaders also shared aspects of the workshop by posting on social media using the hashtags #ReentrySeminar and #FLEXSerbia. incredible amount of support from all over the world. The expansion of countries allows alumni from neighboring countries to become friends and work together! The A-SMYLE and FLEX Alumni community is a family, a family that is made up of very different people. At first sight, you may not think that there’s something that will help these two people to bond, but somehow the exchange experience helps them to click perfectly. That is the charm of the alumni community in Serbia. And we welcome the 2016 FLEX Alumni community from Serbia!